From security features to faster payments, here are a few reasons why you should use mobile accounting. Although advancements in mobile technology has increased efficiency in many businesses, there are still many that have not made the switch to online alternatives. While locally installed applications may still have great use in the workplace, more can be accomplished by investing in Cloud-based methods – such as the ones from Sage. One particular company I have dealt with recently refuses to explore mobile alternatives simply because the owner doesn’t trust the security of online storage. You’ve probably read a few articles online where a company’s security had been circumvented and private information had been stolen. When you take into consideration the sheer number of people and businesses that have data stored online versus the few successful hack attempts, the odds are not as bad as you may believe. Many online companies use top-of-the-line anti-theft technology to ensure data remains protected. When it comes to accounting software for small business and similar functions, most hosting providers take security very seriously. Did you know that many “hacked” servers of companies had nothing to do with breaking codes or finding digital backdoors to access? Often times, a disgruntled employee shares passwords and access codes so that others can get into the system unchallenged. While many people have the visualization of some masterful hacker breaking through firewalls, often times it’s as simple as putting in a login name and the password. The business I mentioned before still holds onto computers developed in the late 1980s and early 1990s because financial information is stored on those machines. Although the owner has transferred that data into spreadsheets, he is still convinced that he needs those old systems for future needs. One of the most prolific advancements of a piece of mobile accounting software for small business is compatibility. As most developers use browser-based interfaces, nearly any device or web browser can access the application. Since web programming is virtually universal, there is no need for the extensive upgrades that you would need for computer hardware, networked servers or operating system incompatibilities. Compatibility can only go so far, especially when trying to use 20-year old technology. Although HTML and other website languages are widely compatible with many browser versions and system types, there is a point when the technology becomes obsolete. However, the compatibility is still much greater than compared to locally installed applications especially since operating system types don’t normally play a role in web-based browsing. This means that the online version of accounting software is more likely to work with future versions of Windows regardless of what Microsoft decides to develop next. Another of the finer aspects of online business practices is the freedom of movement you have compared to other local installed applications. Instead of being confined to your office desk in order to access the accounting software for small business, you can pull information up anywhere you have an Internet connection. If there are changes that need to be made, you don’t need to rush to the office to make them. I have seen first-hand how offering different payment options can improve business income and functionality. As most accounting software for small business include some kind of web-based payment solution, clients don’t have to rely on checks or cash in order to pay your company. By offering online and credit card processing through links from the invoice itself, clients are more likely to pay immediately as it’s convenient. This means you receive money promptly for products or services you provide. In my experiences, small real estate businesses increase payment rates from tenants by offering this online credit card alternative. In certain situations, the tenant may not have the cash on hand. However, he or she may be able to pay with a credit card. Alternative payment solutions can give a client or customer options that are best suited to his or her specific situation. Mobile accounting can be linked to enhancing customer service. As technology continues to advance, more individuals are taking advantage of what’s available such as online payment methods and account information. By moving services to be more integrated with mobile technology and access, you give the client what he or she wants. Instead of the traditional envelope, stamp and check sent by mail, clients and customers can spend less than a minute sending a payment. By the end of 2014, mobile devices have accounted for more than 50 percent of eCommerce traffic. If your business operates on such a level, integrating your services could enhance the visitor experience even further. If you don’t enhance your practice for mobile technology, you could be alienating a large portion of your potential income as well as client interaction. Technology in virtually any form is centered around saving time. By relying on archaic forms of accounting, such as the company I have mentioned, you are wasting time that could have been spent doing other projects. This also reduces time spent correcting errors such as miscalculations by the human element. I have personally seen how a pencil ledger can cost an organization hundreds of dollars in fees because of incorrect mathematical calculations by the accountant. 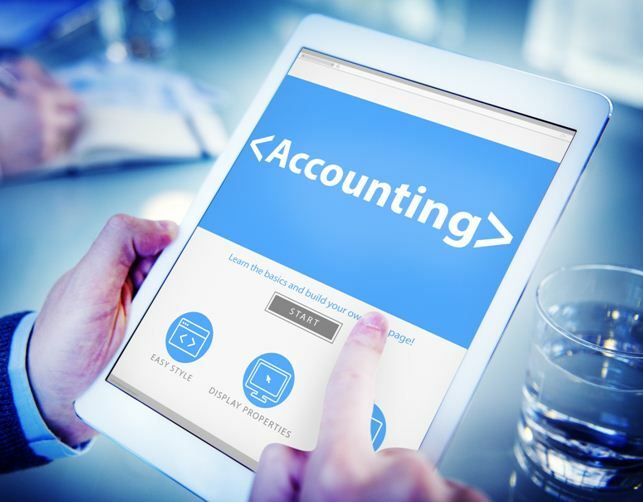 Due to the development of accounting software for small business, many owners no longer need to pay for accountants to manage financial information. While this may be bad for those with experience as a CPA, it’s more cost efficient for the business. Everything from monitoring unpaid invoices to calculating fiscal taxes could be nothing more than a few clicks of the mouse. These systems are usually automated using self-explanatory terminology to help those regardless of technology skill level. The proper accounting software for small business can be instrumental in maintaining functionality. It can provide you with detailed reports while helping you realize what areas need to be improved upon. In my opinion, mobile accounting may be one of the most important factors for developing a business capable of prolonged sustainability in the years to come. Hi? I was really taken by your rich post and looks forward to hearing more from you. In addition, am requesting for some little help. I recently joined the site. But whenever I write a post, I cannot see a tab or button to submit/publish my article. All my articles therefore end up in the ‘Draft’ section after I preview them.Kindly help on how I am supposed to submit my post for publishing.